Listen to the first episode of the Sheffield Digital podcast. Today we publish the first ever episode of the Sheffield Digital Podcast. It’s a new venture for us and something we’ve talked about doing for quite some time. We think it’s going to be a fantastic way for us to share news and information about Sheffield’s tech and digital sector. We also hope it will give us space to open up and speak about some of the less visible aspects of what we do. You can listen to episode one in the player above or download the mp3 file directly. However, the best way to listen to a podcast is to subscribe in a dedicated app. The most popular place to do that is Apple Podcasts, but we also recommend Overcast for iOS and Pocket Casts for Android. This first episode of the Sheffield Digital Podcast includes an introduction to Sheffield Digital itself, a look back at July’s successful Tech North Summer Showcase event, Appt's experience doing business in China, our new partnership with the AMRC, plus some upcoming events you might like to attend. There’s even time for a very short story about how the Google Digital Garage Bus came to be. Your hosts are Iain Broome, Mel Kanarek and Chris Dymond. If you use an app that supports chapter markers, you should be able to easily move between topics. If you’re part of the Sheffield Digital Slack community, you can use the #-podcast channel to discuss the show. We’re still trying to find a suitable intro jingle, but wanted to get this episode out as we’re recording again next week! Finally, a big thank you to Birchenall Howden for letting us use their equipment and record in their office. With every episode, we provide a list of links to all of the various people, companies and topics that we reference. Here is the rather long list of links for episode one. 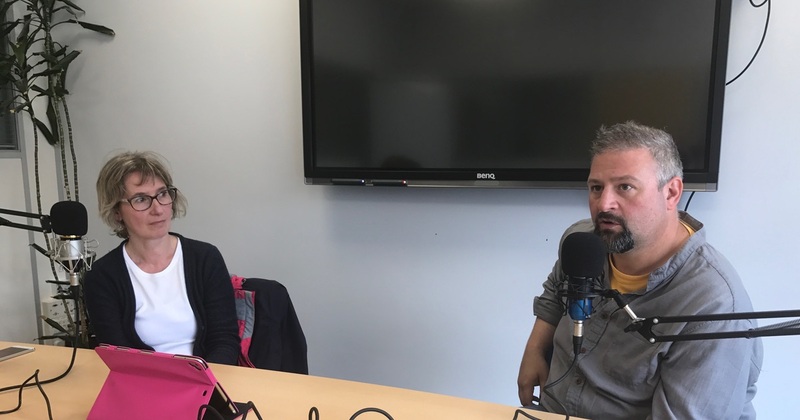 Really, the Sheffield Digital Podcast is about you – the city’s people and companies working in digital. That means we want guests on the show to talk about their work. For example, in this first episode, we speak to Appt’s Neill Birchenall about opening up an office in China. If you have a story to tell and would like to be on the podcast, email iain@sheffield.digital and let me know. We’re very open to ideas. Sheffield Digital is now on Instagram! We are now on Instagram and we want to showcase the city’s fantastic workspaces, events and meetups. Exciting news – now you can make your Sheffield Digital Slack team look a whole more Sheffield Digitally.